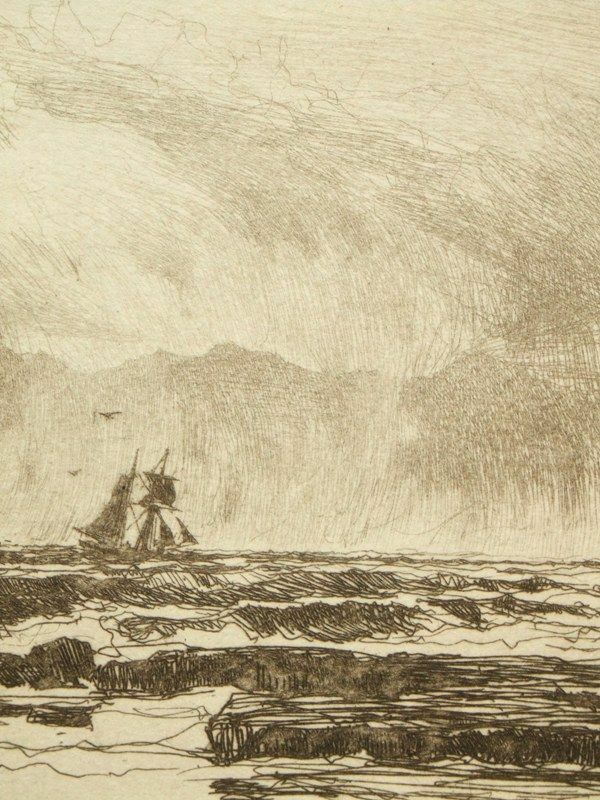 This is an atmospheric etching depicting a topsail schooner caught in a rain squall rolling off the peaks of the island of Arran with other sailboats on the horizon. 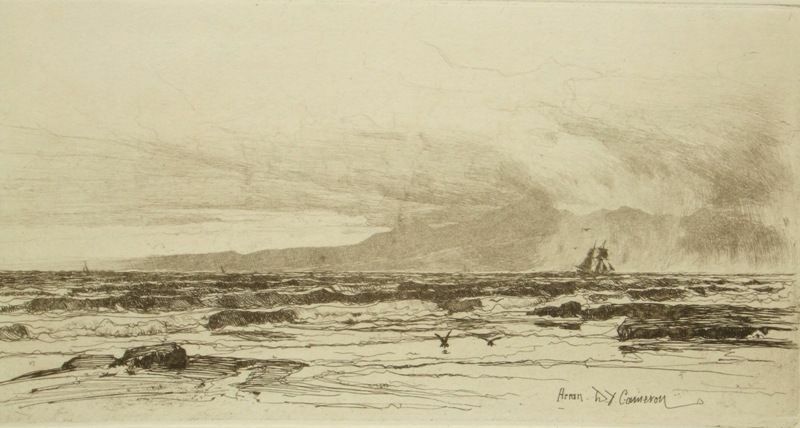 This print is from the re-issued plate either from The Portfolio 1892 or 1906, The plate was cancelled in 1911. 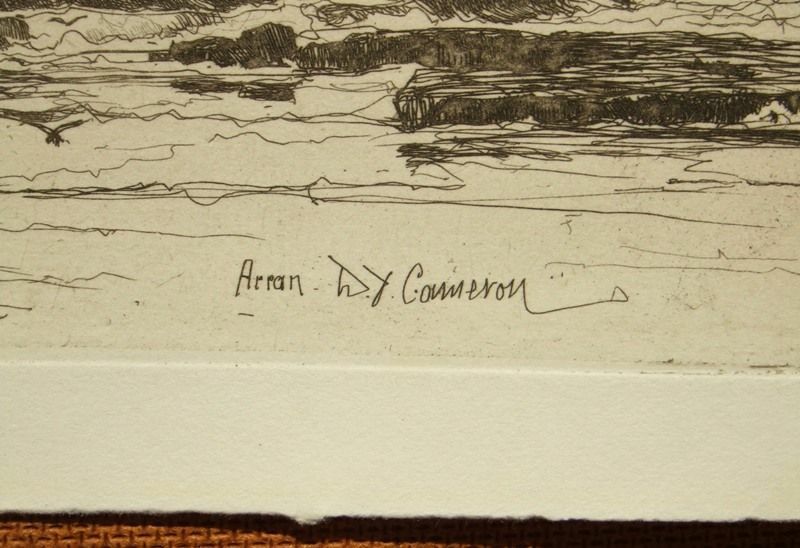 Sir David Y. Cameron; 1865–1945; Landscape painter of architectural subjects and mountains, and etcher. Born in Glasgow and destined for a commercial career, he began evening classes at the Glasgow School of Art and entered the Royal Institution, Edinburgh, as a full-time student. 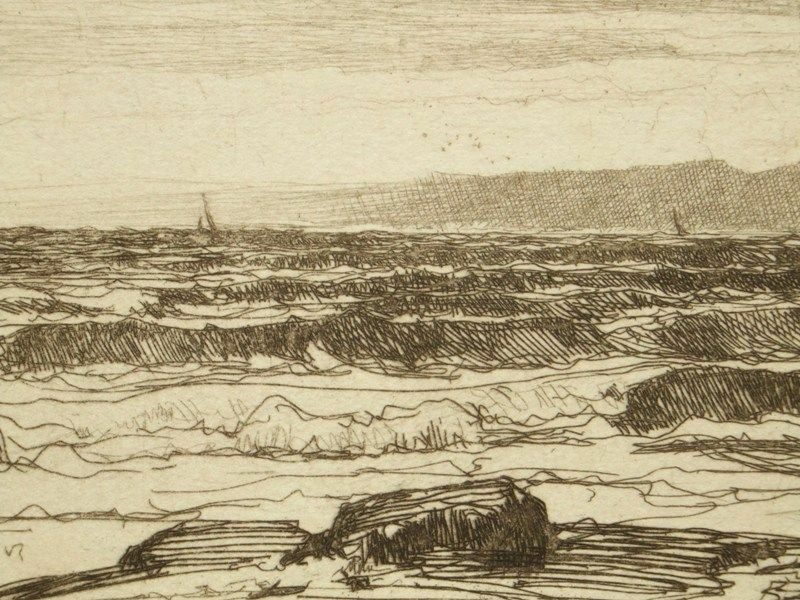 Encouraged to etch by the amateur artist George Stevenson and knighted in 1924. 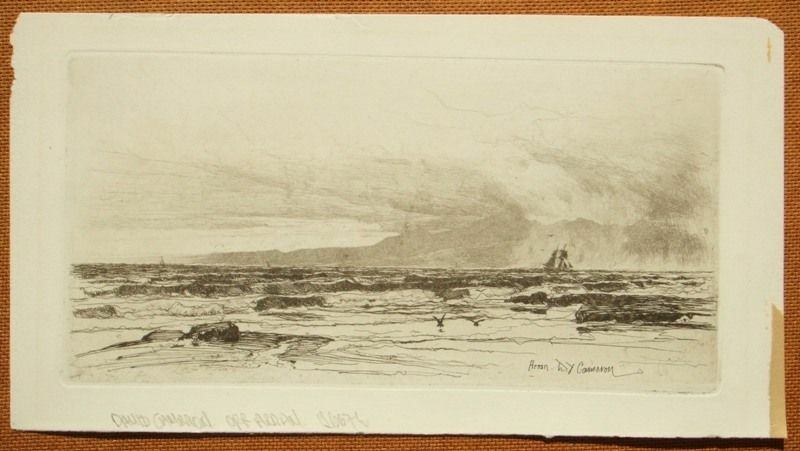 Unframed and unmounted, the condition of the image and sheet is good with handling marks condusive with age.